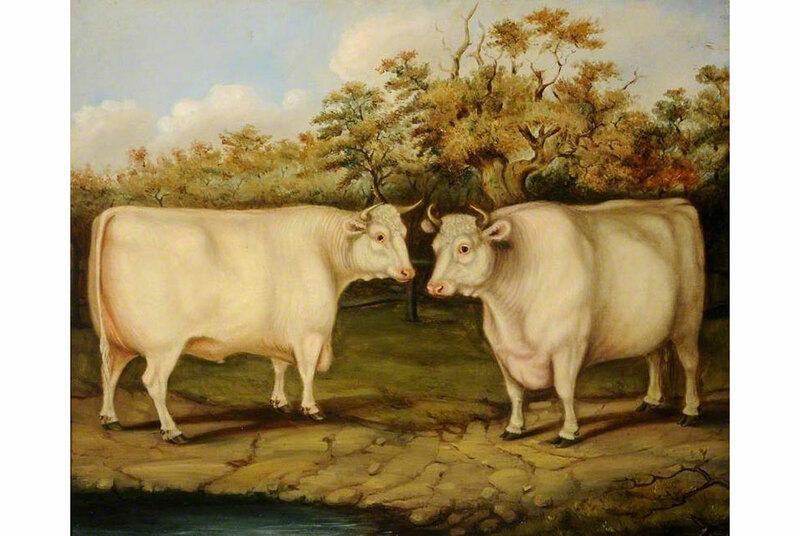 Castle Howard Shorthorns by Henry Stafford © Doncaster Museum and Art Gallery. LONDON.- Art UK is launching its own GIF and meme collection with the aim of getting more people to engage with paintings by giving them a thoroughly modern makeover. Art UK has a large collection of Creative Commons (CC) licence images from UK art collections. These licences offer varying levels of image use permissions that allows anyone to reuse and sometimes remix images when using the correct attributions. To have fun with these images, they are starting a collection of GIFs and memes and inviting people to join in by sharing and creating their own art GIFs. Theyve kicked off the collection with five animations created by New York based GIF artist Matthias Brown using works from Cusworth Hall Museum and Park (William Wrightson by Joseph Highmore, mid-18th-century and Frances Wansford by unknown artist, 1608), Doncaster Museum and Art Gallery ('Rover', the Duke of Kingston's Favourite Setting Dog by George Haugh, 1776 and Castle Howard Shorthorns by Henry Stafford) and Lewes Town Hall (Audrey Wimble by unknown artist). To see the animated GIFs Matthias has created from these paintings  click here. Go to https://artuk.org/about/blog/art-uk-gif-collection-call-for-submissions/ to find out more and get involved.